Jake Gyllenhaal, Rebecca Ferguson, Ryan Reynolds et al. 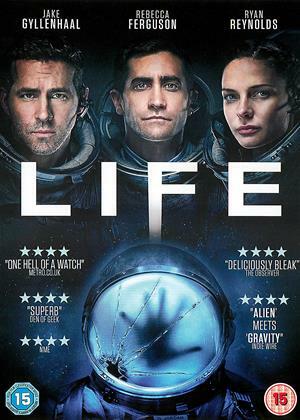 Life is an intense sci-fi thriller about a team of scientists aboard the International Space Station whose mission of discovery turns into one of primal fear when they find a rapidly evolving life-form that caused extinction on Mars, and now threatens the crew and all life on Earth. (10) of (12) members found this review helpful. I'm not quite sure what the point was of making this film? It comes across as one of those first attempts at the big screen by a bunch of college students via a grant from the Film Foundation! The first ten minutes of the opening sequence, which one presumes was trying to create a strong ambience and feel for space, by showing us the sun rising over earth as the spaceship comes into view, is so rushed, jolty and badly edited, that it really does set a bad tone for the rest of the film! The storyline is essentially 'Alien', via 'The Thing', with lashings of '2001 A Space Odyssey' and countless 1950's Monster Movies thrown into the mix! So nothing new, different or really creative here, either in the script, direction, cinematography, special effects or acting, at least not for me as I've seen it all done before countless times and much better too! I found the direction too jagged, massive plot holes, the editing was poor and all in not a very original or creative film! In fact I get the plot was far too close to the original 'Alien' film for comfort. The ending was predictable and I was left with a sense of, why did I bother to watch this and what was the point? I really wanted to like this film. Ok 1st the positives - first 20 mins are enjoyable and build suspense and set up very well. You can forgive the sheer level of stupidity from a biohazard point of view ( ie containment and exposure of crew) up to this point. Lovely cinematography and effects to be had. Ok now the rapid come down, Boy is the script and dialogue bad. The actors do the best they can with it but it falls very rapidly into B horror movie area. Also the sheer level of stupidity is overwhelming. These are meant to be highly trained experts and they just behave as if they are stupid along with the space stations unbelievably bad design flaws ( ie lack of containment etc) Also space craft of this nature would have at least triple redundancy making the whole premise laughable unless the space station had been built by Trump. So I can go with turn your brain off material but this takes itself way to seriously to allow that to happen. Design elements/action/script is borrowed from quite a few films - alien(s), Gravity, species, and a hold host of horror tropes are thrown in making this a very derivative film. I feel sorry for the VFX team who obviously put a lot of time and effort in - shame the same isn't true about the script or direction. It so very quickly descends into bog standard horror material and not a lot making any real sense. It's more 'morons in space' or should be called 'death'. Gravity raised the bar for what we expect from films set in space and Life does not disappoint. The whole film is set in a space station in zero gravity and the production design is dazzling. The long pre-titles sequence, in which the flowing camera follows the astronauts as they fly around the station, is mesmerising. The plot develops into an intense survival story when a minute Martian life form is taken on board, starts to grow and turns nasty. The pitch is Gravity meets Alien, but it’s better than Alien. Alien’s main shock tactic was the old stand-by of having its characters wander through dark spaces while we wait for something to jump out at them. Life is more imaginative. Unlike in lesser sci-fi films, the plot is scientifically grounded and all the station crew are realistic and personable astronauts, which adds to the impact of the alien’s disregard for human life. Tension and shocks come from the nature of the beast itself, whose metabolism is apparently based on that of slime mould (see DVD extras). The zero-G camerawork, accomplished using wires, is fluid and captivating, spatially disorienting the viewer and adding to the other-worldliness of the events on screen. Director Daniel Espinosa’s aim was to make a sci-fi creature feature that was both ‘plausible and terrifying’. He’s succeeded. 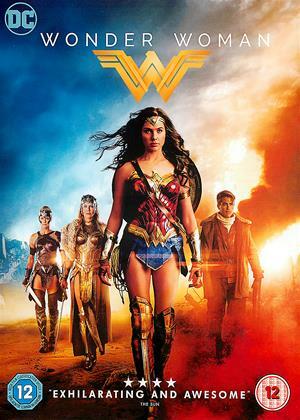 Trailer notes: the trailer should be applauded for not giving too much away but is still best avoided. This film promised so much with its bevy of fine actors, but it's nod to so many other similar films, see other reviews, made it predictable. It also defied the belief in stupidity on behalf of the crew. I was looking forward to it but it was particularly gruesome and ghastly in parts. 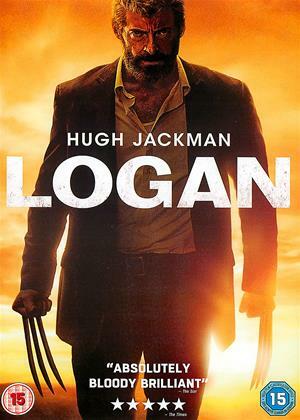 Watchable but a bit hmmmm throughout. Beautiful Rebecca Fergus on always a draw. Memorable film though because of the nasty alien. Won't forget THAT in a hurry. This is classed as a Sci-Fi thriller/horror. It starts very well and in my view rivals Gravity at the beginning. I have seen videos shot on the space station and this film looked just as realistic, though presumably shot with wires and green screen in a studio, it did look just like zero gravity, no imagination needed. The capsule returning shots were not as good (until it arrived at the ISS, which was spectacular). We saw a bright dot scudding across the stars which were too close together, except as you find when you watch further, they are not stars (therefore too bright). This is where the weakness of the film shows; it is a good thriller/horror film, but not so good as a Sci-Fi, and not at all good on Space Science. Astronauts do not all shout at once hysterically when things go wrong. Inside, their pulse rates shoot up, but on the outside they remain calm and retain the discipline of their training. Tom Hanks in Scully is a good example of the skilled acting required to convey this. I am sure these actors could do this, but in this case the director wanted excitement and emotion to get the pulses of the audience going. I accept that for a thriller/horror this is what is needed. The plot is then a bit predictable, there is a twist at the end which I didn't see coming but Carol suspected. Overall the film works for those who like this genre, it had some suspense and scary moments, but it is not such a good film for those who prefer pure Sci-Fi. I completely disagree with the review by CS, he has no idea what he is talking about, a great film is about suspense and purpose and this film had both in abundance. It stands on it's own in relation to any other film and is well acted and full of surprises from the first scene to the last. It will definitely bring in a sequel. This could easily have become an Alien wannabe but it has much more to offer, even if the story is a bit basic it cranks up the tension from the moment they bring the alien on board. They have also managed to give stock characters a bit more to work with and the effects are very good. Shame about the rather obvious twilight zone ending but still well worth a watch if you are fed up with the overblown Alien sequels/prequels. I'll keep this review as simple as I can, just like the movie. 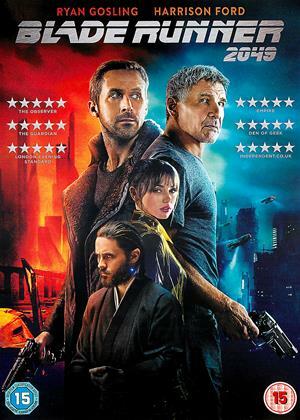 What a disappointment, good actors trying to do their best with a poor storyline and script, special effects and CGI were good, but a very predictable story, with no surprises, it was a sci-fi film, but wouldn't call it a thriller. When a character says profoundly 'god I miss my dog' in a sci fi movie then you know you are in trouble. Badly written script and badly acted with characters you truly don't care about. Not a great combo! I think the dog might have been better! To me, one of the better space disaster films out there. Unlike many on here I did care about the characters and were rooting for them throughout. I thought it was a very well put together film, it was interesting, evenly paced, tense and a little bit scary. I didn't think the ending was predictable either, although others seem to think it was. Weirdest thing in it? Choice of song over the closing credits! 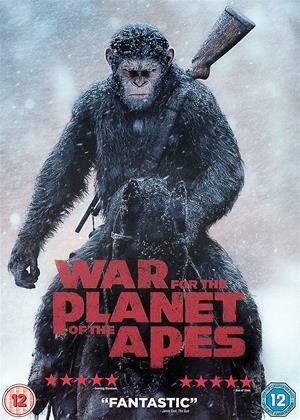 Terrific effects and production quality throughout with superb alien intelligent creature. This is a film full of scary tension and action and there is no need to make comparisons with other alien creature films as this stands on its own merits. As others have said, there are a lot of holes in the plot. A lot of mistakes to allow the alien to become a menace. Having said this, it works as an entertaining adventure film. Few thrillers are very plausible. The special effects are OK. One forgets that these people are not really in space. This is my kind of film. In space, exciting & full of suspense. Had me looking through my fingers a couple of times due to gore!! Ignore some of the miserable reviews - it is good. Good actors. Basically the plot is the same as Alien with bits borrowed from Gravity and Prometheus thrown in for good(?) measure. It certainly did not really have the same suspense and the ending was too predictable. Disappointing given the quality of some of the cast and I could not recommend watching. Nearly 2 hours of my life I will never get back. It's like all of the films from outer space rolled into one. Not quite sure why 2 big stars put their names to this. Basically it's Alien that lands on earth rather than expelling the alien into the universe - end of. It teaches us nothing and tells us nothing either about alien life, Mars or any of the characters so it's not even a thinker of a film! The moral of the tale is - if you want to go to Mars, travel with Matt Damon! Rather than rip of alien, something so often attempted and failed at Life takes its own spin on an alien menace. Its set close to earth which brings it own tension, we see the alien develop in detail - something i feel Ridley scott is attempting and failing miserably at. And when people say the film is predictable and the crew useless - my take on it is the alien creature develops and learns incredibly fast. Quickly growing more lethal than the unarmed, civilian ISS crew. 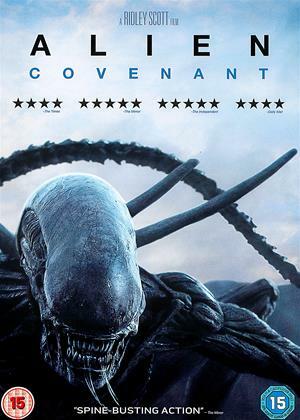 It seems im largely alone in liking this film, im not sure what everyone was expecting, this film is a far superior 'Alien' experience than the pretty rubbish Alien Covenant. I love most science fiction and I liked that this attempted to replicate something of the spectacle and realism of gravity (but falls short) and something of the kind of claustrophobic tension of something unknown without motive that technology cannot help you with (think 'the thing' lite). This cast are good and generally interesting to watch in most things. Whilst it didn't knock it out of the park creatively its well put together and entertaining with the odd memorable moment. I've suggested watching it to others with the caveat its not going to change their lives - a good Friday night film. Couldn't get past first half hour as it was too scary and gory and the funny thing is I like Alien but I couldn't deal with this film!